If you are seeking auto paint protection in Raleigh, NC, you’ve come to the right place. We offer a variety of treatments designed to protect your paint, windows and headlights. 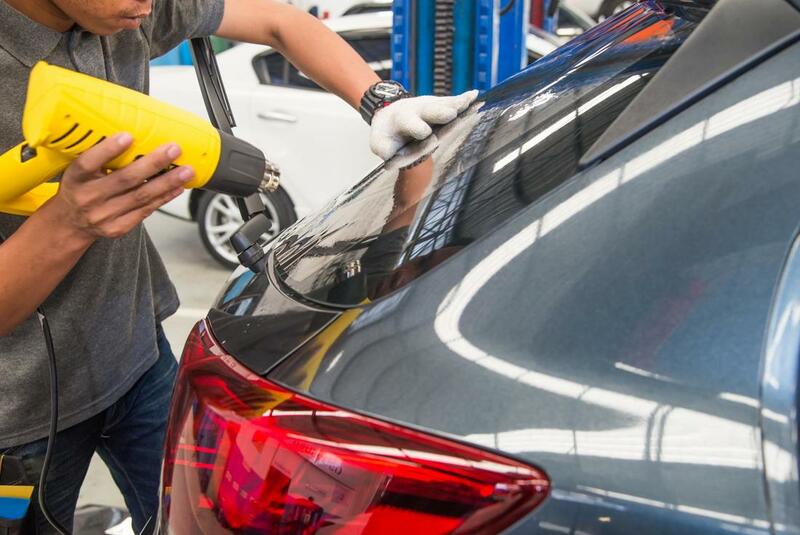 Ceramic coating and vehicle wraps offer offer advanced technology to prevent marring, scratches, dings and swirls from occurring in your paint surface. Headlight restoration not only renews the appearance, but the sealant applied prevents repeat oxidation. Window tinting is the ultimate in window protection. It protects humans and animals from overheating and acquiring skin cancer while traveling. It’s also is a major factor in preventing accidents by rendering windows shatter proof. The anti-glare feature allows drivers to see beyond the headlights of oncoming traffic and overly aggressive street lamps. Window tints block 35-60% of heat in the summer and keeps your vehicle 15% warmer in the winter. Temperature efficient properties allows your A/C to operate at a consistently moderate level, thereby conserving fuel and curbing the wear and tear on the air conditioning components. Headlight restoration is a service we began to offer after clients invested in vehicle wraps, ceramic coating and tinting for older vehicles in need of major restoration. Clients were pulling out of our shop with hazy and yellow headlamps. We realized that we were failing as a company that boasted full service tinting. As a result, we added long lasting headlight restoration and our clients couldn’t be happier. Call Raleigh Window Tint Pros today!